Author, Paul Green, kindly interviewed me recently. Below is the interview in full. A link to one of Paul Green’s blogs follows the interview. Fellow author Michelle Vogel kindly agreed to be interviewed about her recently published book on the life and career of actress Olive Borden. Michelle’s previously published work includes biographies on Gene Tierney, Joan Crawford, Olive Thomas and Marjorie Main. PG: What attracted you to Olive Borden as a subject for you latest biography? 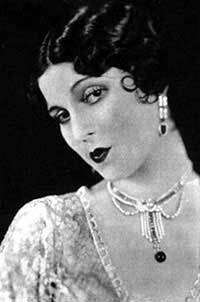 MV: Honestly, I had absolutely no idea who Olive Borden was until a few years ago. At the time, I was researching a book on another Olive – Olive Thomas. A stray article about Olive Borden had been placed amongst some research material I had ordered. An obvious mix up because of the shared first names and profession. Of course, I read it. Well, it was such a sad, brief snippet, an obituary of sorts, that she peaked my interest and I knew that some day I would delve into her life further and write a book. I filed that misplaced snippet away and I’m pleased to say that “Olive Borden: The Life and Films of Hollywood’s ‘Joy Girl’” is now a reality. It’s the first full-length biography and filmography dedicated to her life and career. You appear to be fascinated by actresses from the silent and classic era of Hollywood. PG: Do you think modern cinema lacks many of the qualities you find appealing about these eras? MV: For me, there’s a certain mystique about the stars of yesteryear. The term, “they just don’t make ‘em like they used to,” is SO true when it comes to Hollywood and all that it was. The stars, the story-telling, the directors, the costumes, the glamor, the production value, the black and white imagery…I could go on and on and on. So, yes, modern cinema lacks many of those qualities, absolutely! If only the generation of today would sit down and really watch an old movie such as “Sunset Boulevard,” or “Laura,” for instance, and not judge it because it’s in black and white and look at the film as being inferior from the get-go simply because it’s not in color. If they really sat, without judgment, and listened to the story, they’d be hooked within the first twenty minutes. If you move to silent film, there’s another huge hurdle to jump – no sound! In my experience, most people who’ve never seen a silent film have been blown away after watching one. Show a group of kids a Chaplin film and they’ll forget there’s no color and no sound within the first few frames. They’ll laugh as hard as they do with any modern cartoon. Unfortunately, most kids, most adults for that matter, just don’t give the early films any consideration. If they did, they’d be opening themselves to a whole new world. PG: Do you think readers have an appreciation of just how difficult it is to write a biography? MV: Yes! Absolutely! Especially when writing a biography about someone who’s died fifty or sixty years ago. Their peers and friends, even their children in some instances, are all dead! There’s no one left to talk to. The further time passes, the more difficult it is to get first hand accounts on any subject. Unless I start writing about more contemporary artists, I’ll always have that problem. I was very lucky to have had the participation of Ralph Graves Jr. throughout the writing process on my Olive Borden book. Ralph’s father, Ralph Graves, worked with Olive Borden on several films and Ralph Jr. knew her when he was a child. Ralph Jr. is now in his upper 80′s, so that just gives his relationship with Olive Borden some perspective. I go above and beyond to research every possible avenue I can when writing my books. I owe it to my readership, I owe it to myself, more importantly, I owe it to my subject. It’s a difficult but rewarding process and it makes it even more rewarding when e-mails come in praising those efforts. If someone likes the book I’ve written and it gives them a better understanding and appreciation of the subject, then I’ve done my job. That’s very satisfying. PG: Are you frustrated by reviewers who like to accentuate the negative and not give you credit for your extensive research? I believe you uncovered new film credits for Olive Borden. MV: As an author, especially an author of non-fiction books, I believe “most” certainly not all (eg: Kenneth Anger…), but most authors want to do right by their subject. You have to like the person you’re writing about or you’d never get through the arduous process of producing a book if you didn’t. At least I wouldn’t! If you go the extra mile to find new info (that as I said, is very hard to find after all these years) then it’s pretty disappointing to read a review or opinion that has blatantly pointed out the negatives, and obviously looked for the negatives, but overlooked the positives. 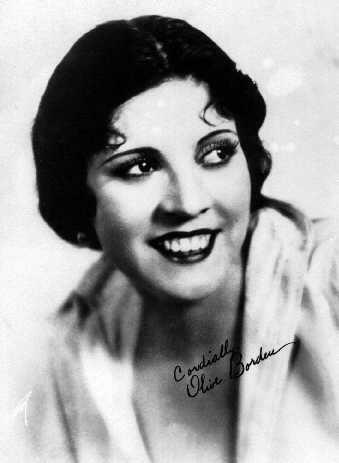 I did uncover over thirty new films for Olive Borden that no one had ever given her credit for. As a result, her filmography almost doubled. I was thrilled to be able to include this information. These newly found films that she appeared in were Hal Roach shorts, all very early in her career. She was an extra in most of them. Some of the shorts are “lost”, some of them she’s not seen at all, but others she’s very clearly in view. PG: Are you working on a new biography at the moment? MV: Yes, I am. 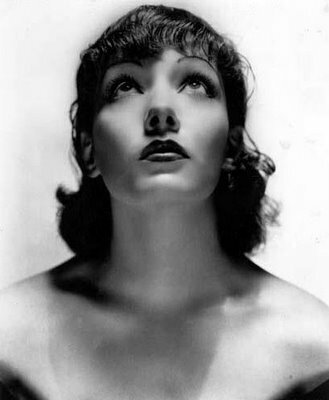 My new subject is a biography and filmography of the “Mexican Spitfire,” Lupe Vélez! Lupe has long been wronged with the “she died with her head in the toilet,” suicide story that was originally printed in “Hollywood Babylon,” written by the aforementioned, Kenneth Anger. This myth has become truth, and it’s time to end that urban legend with a dose of the truth based on REAL facts! Why this lurid embellishment was needed is beyond me! It wasn’t tragic enough that a beautiful, talented, thirty-six year old woman decided the best and only option she had was to kill herself and her unborn child rather than become an unwed mother? Lupe Vélez did NOT die with her head in the toilet. She died in her bed. Actually, aside from her death, quite a lot of Lupe’s life has been wrongly reported throughout the years, especially her early years in Mexico. I’ve been very lucky to have the participation of one of Lupe’s family members and he’s provided me with family photos, never before seen. Quite a few very generous people are providing information and photos that will finally help to give Lupe the book she deserves. I’m very, very excited about this project. It will be released sometime in 2012. Stay tuned for more details as the publication date gets closer. Interview © 2010 Paul Green. All rights reserved.